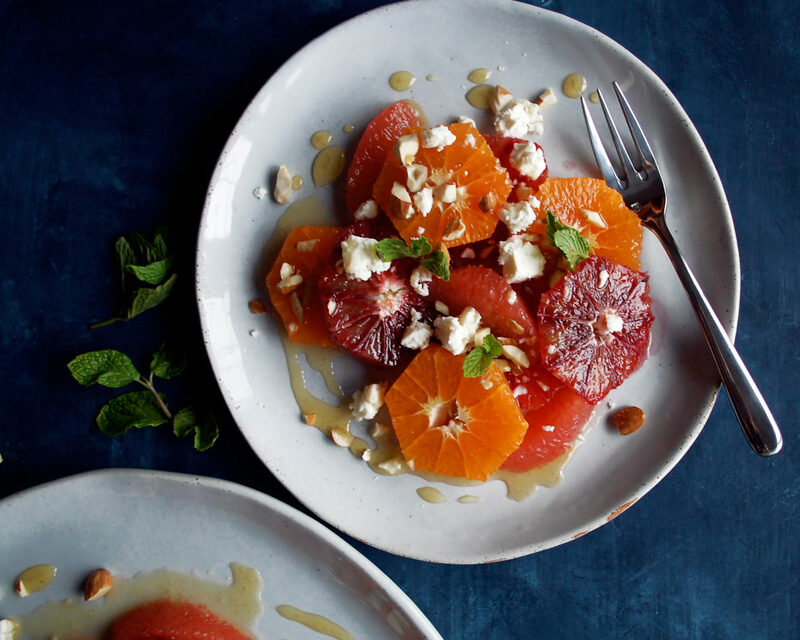 Citrus is the perfect way to brighten up these long, winter months. I’m a big fan of citrus all year-round. I usually eat either an orange or a grapefruit every morning with my breakfast, along with some warm lemon water to start the day. So, when winter comes along and the citrus is at the peak of its season, it’s a very exciting time. The fruit is brighter, juicier, sweeter, and fully of fresh, tangy flavor. There are so many types of citrus out there. 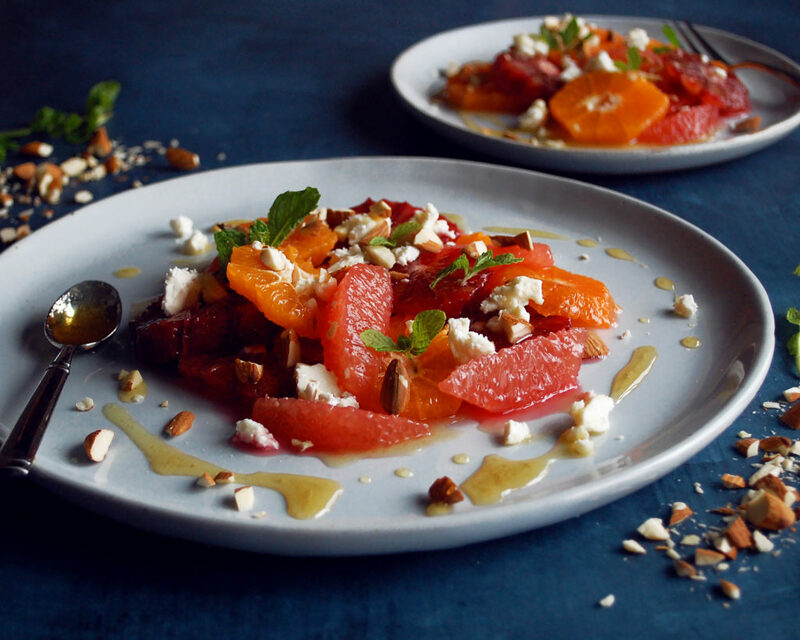 While I stick to more recognizable ones for this salad (clementines, blood oranges, and grapefruit), feel free to play with any citrus you’d like. Here are some other varieties of citrus: pomelo, white grapefruit, tangerine, buddha’s hand, meyer lemon, kumquat….the list goes on. 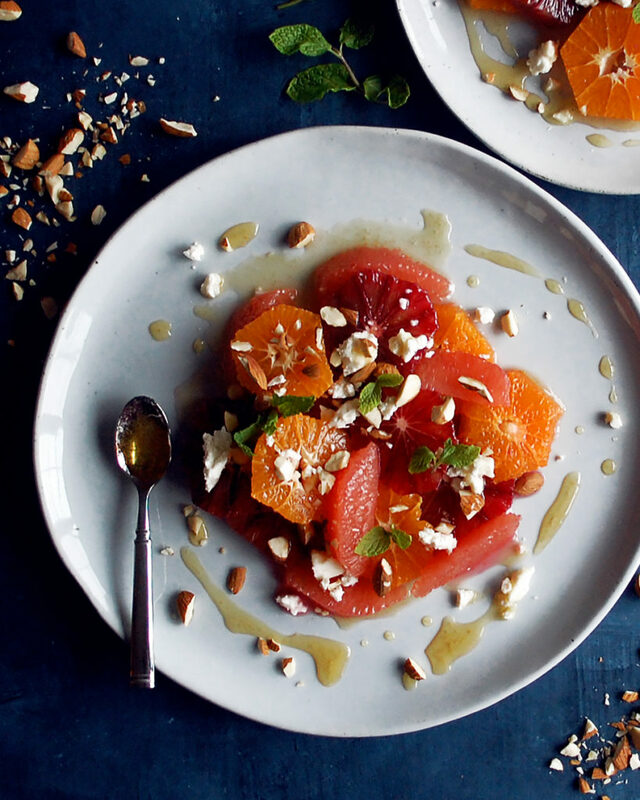 When making a citrus salad, the key is to keep it simple. You want to highlight the fruit without too much else going on. I add just a few simple ingredients in order to let the citrus shine. Some feta cheese gives the salad a salty bite and toasted almonds give a little crunch. These two ingredients also add substance to the salad so you’re eating more than just fruit. The finishing touch is basically a mint infused honey syrup. I reduce honey and water with a couple sprigs of mint until it’s thick, super sweet, and syrupy. A little drizzle over the citrus is all you need. I love this salad because it’s not only simple, but super healthy and will instantly brighten up your day. Enjoy! In a small saucepan, combine the honey, water, and sprigs of mint. Heat over medium-high heat until the honey dissolves. Once the mixture comes to a boil, reduce the heat to a simmer. Let the honey syrup simmer until reduced and slightly thickened. Discard the mint. 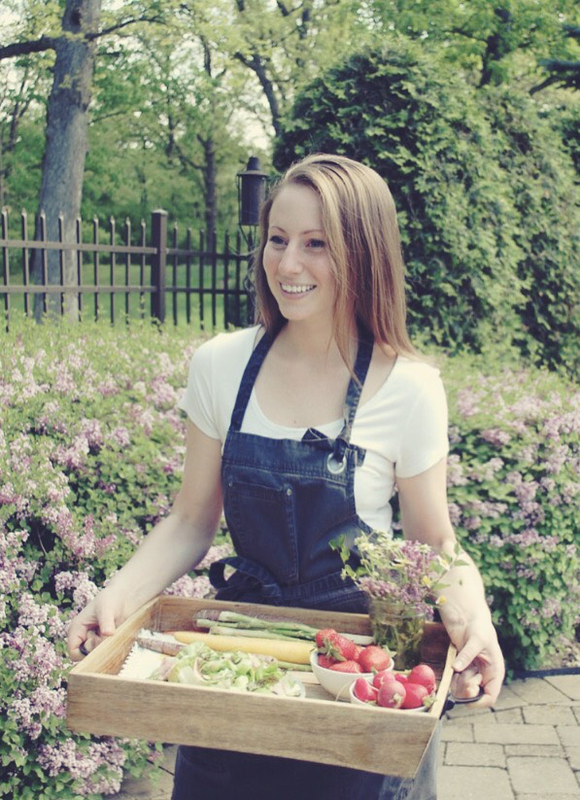 Cool until ready to serve. For all the citrus, trim off the ends. Place the citrus on one of its flat sides and use a knife to peel it, removing all the skin and white pith. 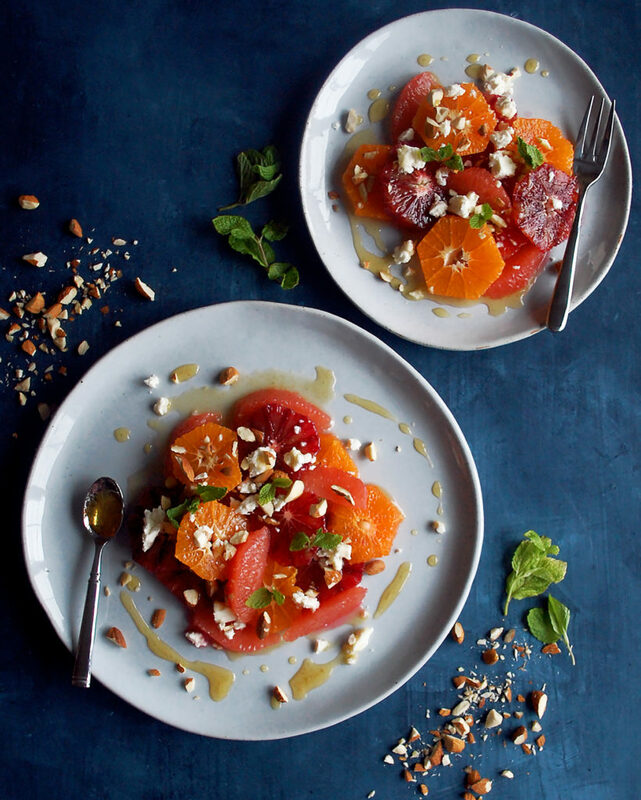 For the clementines and blood oranges, make ¼” slices horizontally to create circles with the center still intact. Segment the grapefruit. 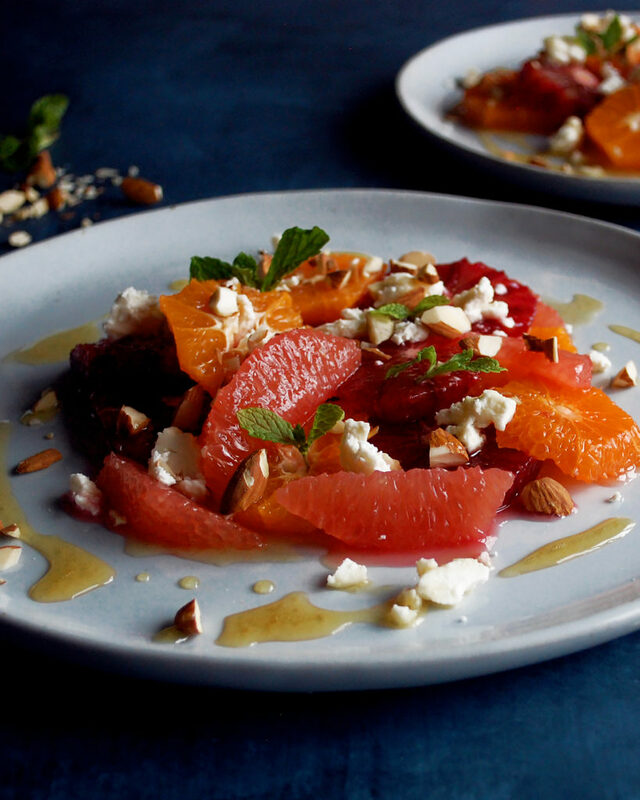 Arrange an assortment of the citrus onto a plate. 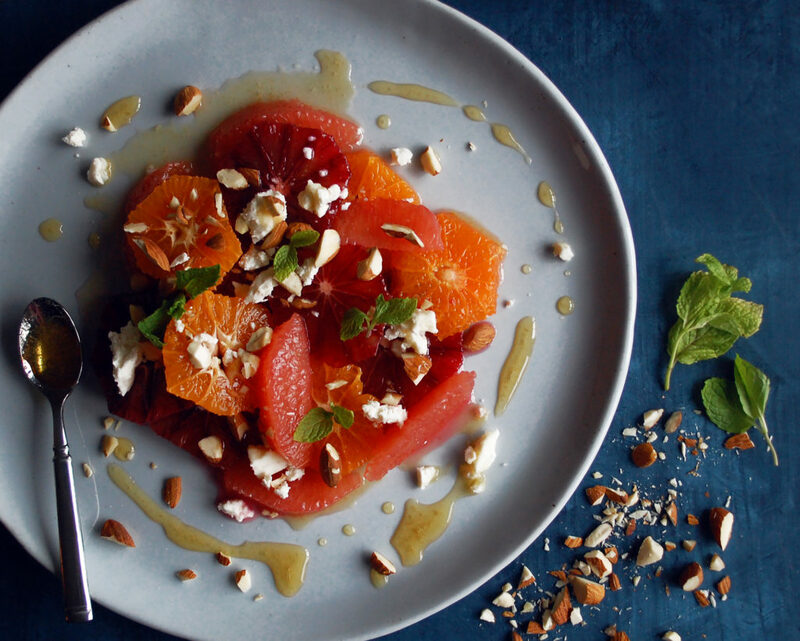 Garnish with the toasted almonds, feta cheese, and mint leaves. Drizzle the mint honey across the entire plate.